If you’ve been stuck in a salad rut lately, one way to mix it up and keep things exciting is to change the dressing – vinaigrette is great, but you also have a wealth of other options that deserve some time and attention. In this salad, you’ll replace the oil + vinegar formula with a slightly heartier almond-butter dressing with just a hint of mustard. The nutty flavor and earthier texture really adds substance to the chicken breasts, and makes the salad an interesting and much more satisfying meal. As well as the dressing, this salad is perked up with some juicy berries and grapes, a crunchy sprinkling of almonds, and just enough chili powder to keep the chicken breast interesting. It’s not mouth-burningly spicy; it’s just enough to add some pep to the meat. You can also pick which greens you like for the bed: lettuce gives you a blank slate for the rest of the ingredients, while spinach ramps up the nutrient content, and a more assertive green like arugula will add its own unique flavor into the mix. For a heartier meal, serve this salad with a bowl of soup, or just increase the amount of chicken per person. It’s even easier if you have some leftover chicken already cooked; then you don’t even have to worry about turning on the stove. Even if you’re cooking the chicken from scratch, though, it doesn’t take much time, and you can always make extras while you’re at it, so that the next time you want a salad you can just grab your pre-cooked chicken out of the fridge and dig in. Sprinkle the chili powder over the chicken and season to taste with salt and pepper. Heat some cooking fat in a large skillet placed over a medium-high heat. Add the chicken to the skillet and cook until golden (about 8 to 10 minutes), turning every few minutes to make sure it cooks evenly. When the chicken is done, remove from the heat and wait for it to cool down before shredding it by hand. 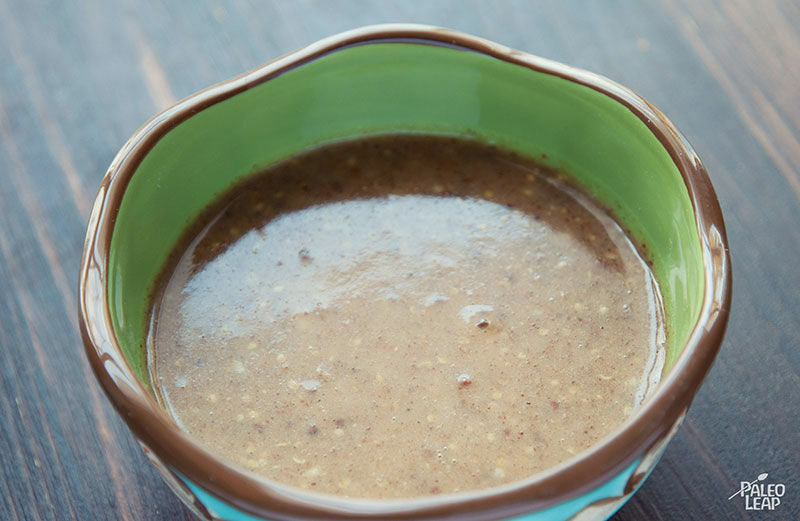 combine all the ingredients for the dressing in a bowl, stir everything well, and season to taste. 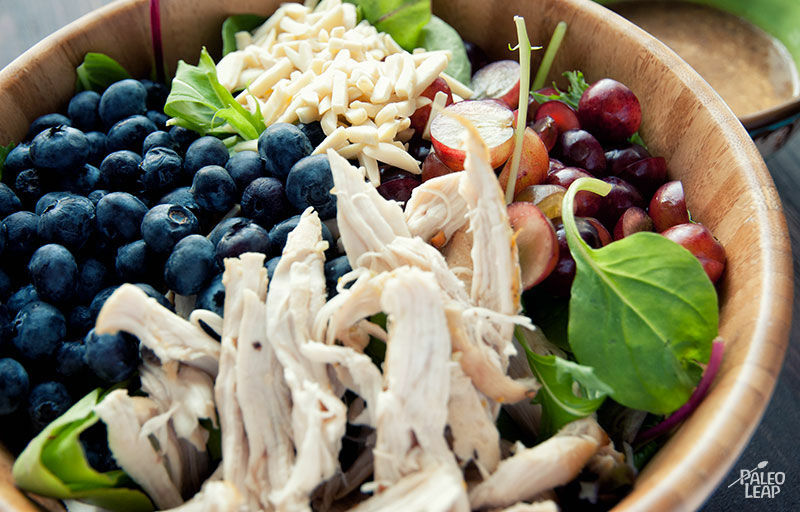 In a salad bowl, combine the salad greens, the grapes, the blueberries, the almonds, and the chicken. Pour the dressing on top and serve.